A camera is the basic piece of equipment necessary to capture photographs. Everyone has their own preferences of brand, type, size, etc. There are many camera accessories available to help transport and protect the gear, as well as improve photo quality. It’s important to create and use a camera gear checklist of the photography and video equipment you need to pack before embarking on any adventure. We’ve learned the hard way by forgetting things like the battery charger still plugged into the wall at home! These are the basic camera accessories, beyond the camera, every photographer should have to make the most of your travel photography adventure. A good camera bag or backpack is the foundation of any travel photographer’s kit. A well-designed bag that fits and carries well when touring and hiking AND is equipped with pockets and organizing sections is a must. 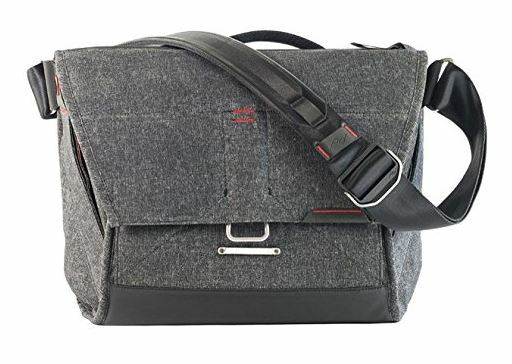 Peak Design creates amazing, STYLISH camera bags (and other products). One thing we love about them is they guarantee the product for life, and refurbish broken items to keep them in use and out of landfills. 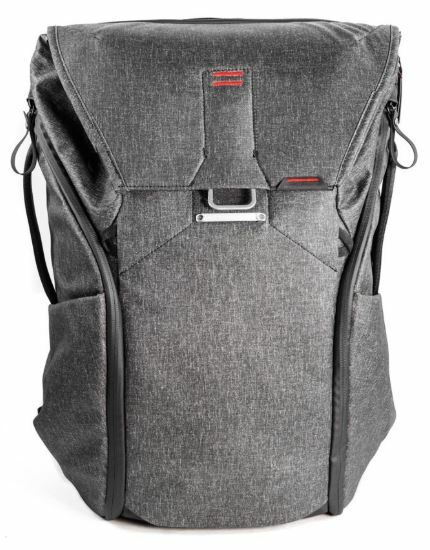 The Everyday Backpack provides access to equipment from the top and sides. There are 2 expandable external side pockets to contain small items. Internal dividers keep photo, drone, or everyday gear organized, protected, and not bunched at the bottom of your bag. There is a dedicated sleeve for up to 15” laptop or tablet. The Everyday Messenger bag comes in 2 sizes. The 15 inch is best if you have a pro DSLR kit and a 15 inch laptop or tablet. The 13 inch is best for a smaller camera body or mirrorless kit and a 13 inch laptop or tablet. Here’s a wonderful list of travel camera bags for women from our friends at Year of the Monkey travel blog. We have three great camera backpacks we use in various circumstances. All of these backpacks for camera gear are well designed with adjustable belts and straps to properly distribute the pack weight on our bodies while hiking. 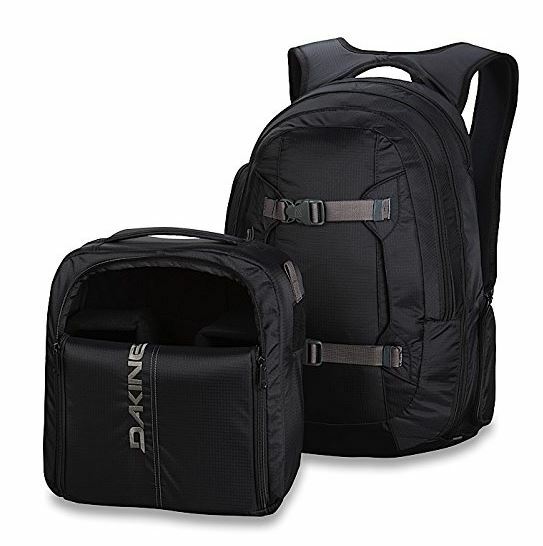 The Dakine Mission Photo Backpack is used for smaller landscape excursions that will not require a lot of supplies or the use of large lenses. 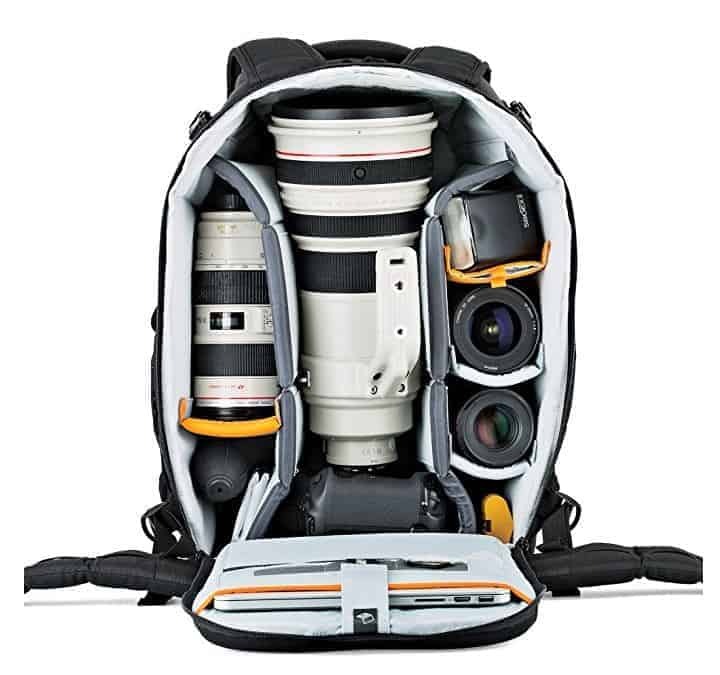 The Lowepro Flipside 500 AW Backpack is best for photo trips that will necessitate the use of a large lens like our Nikon 500mm. Since we always carry two camera bodies, Jamie will carry the Dakine pack and I will carry the Lowepro so we are prepared for any wildlife or landscape shot. The Lowepro Pro Trekker 650 AW is a large capacity bag we use to transport our camera gear on the airplane or longer road trips that will require more lenses and supplies. A good sturdy tripod is worth the investment and can make a tremendous difference in the sharpness of your photos. 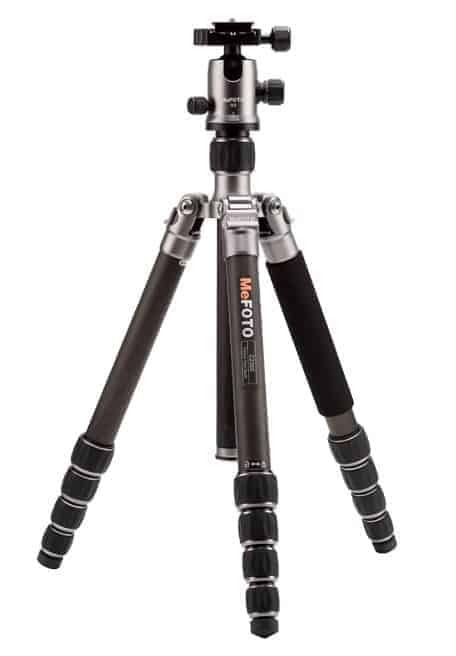 Our MeFOTO Carbon Fiber Globetrotter is the perfect lightweight tripod for long hikes or when I won’t be using a large, heavy lens. 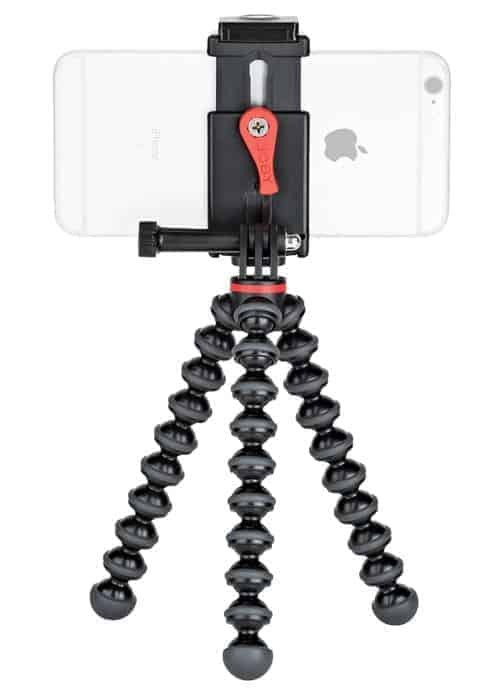 The JOBY Grip Tight GorillaPod Stand works well for smaller camera bodies and smartphones. The legs wrap securely around any surface and it does a wonderful job stabilizing the camera or phone when capturing video sequences. There are many quality tripods of varying sizes and capacities. Evaluate your needs and spend the money to obtain a good quality tripod to meet those needs. It will definitely pay for itself in the quality of your images. Do you ever come across something that you want to photograph, but by the time you got your camera out of the bag, the moment is gone? This camera clip by Peak Design is AMAZING! We were skeptical that it would hold our DSLR with a heavy lens, but it does. 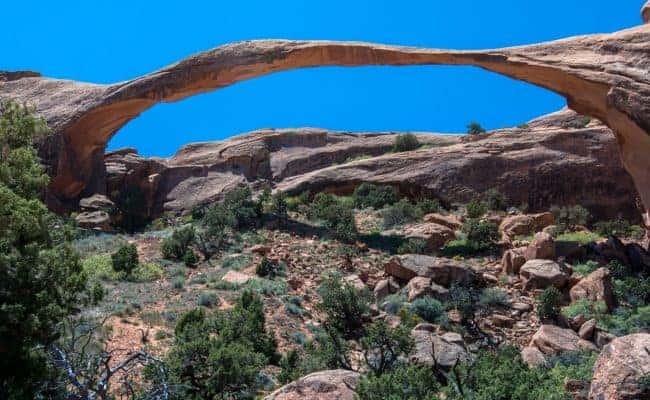 It’s so nice to have the camera securely attached while touring or hiking – AND readily available for any photo opportunity when it comes along. The number one thing that ruins a good photo is a dirty lens! A quick field cleaning is sometimes necessary to remove dust or water droplets on your lens. NOTE: this is not for cleaning the sensor. 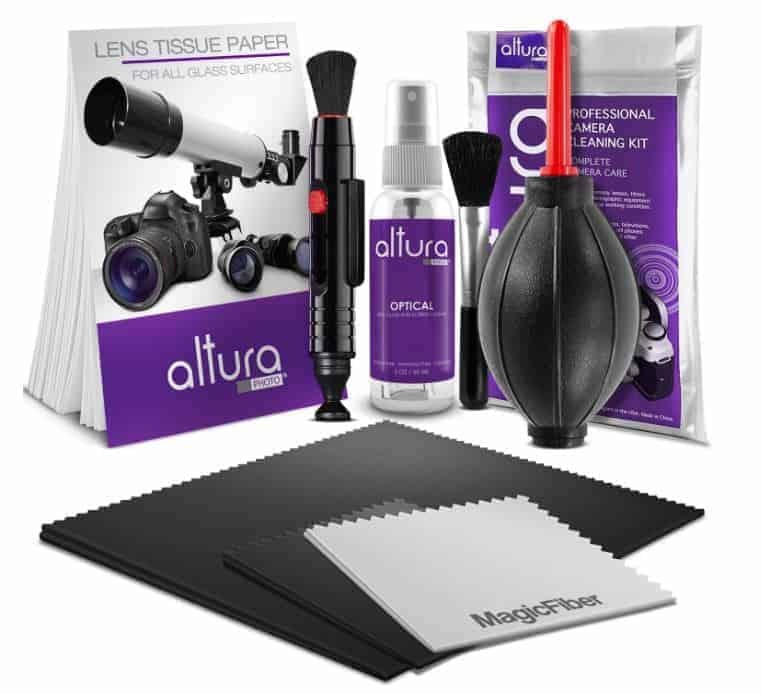 A good DSLR camera cleaning kit should include a lens pen, cleaning fluid in a spray bottle, air blower, microfiber cleaning cloths and a soft brush. A basic lens care kit is good for smaller cameras and smartphones. 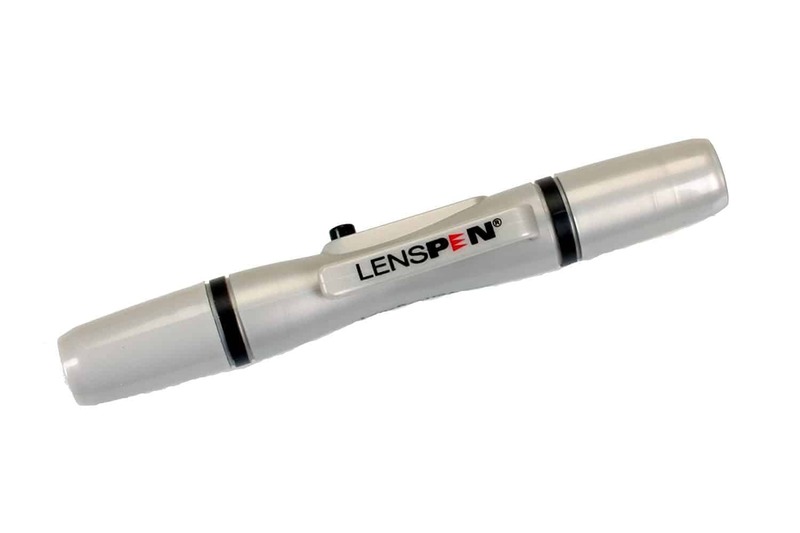 The lens pen has two sides – one with a retractable goat hair brush to brush away any loose particles and the other side with a self-replenish able carbon-based tip to clean the lens. Camera Cleaning Supplies: Check the latest prices on Amazon. A remote shutter release is fantastic for decreasing camera shake caused by the pressure of your finger activating the camera shutter. Using this items results in sharper images. You can compensate for this by using the camera timer, but it is inconvenient. You will need to search for a remote shutter release for your specific camera model or smartphone. 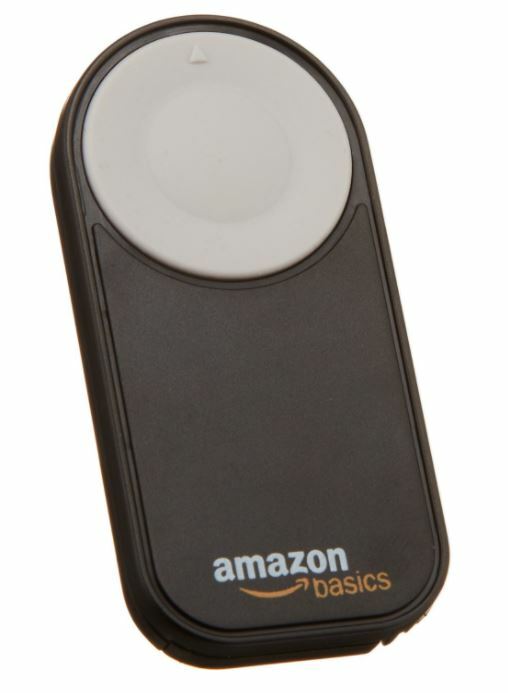 Remote Shutter Release: Check the latest prices on Amazon. Purchase name brand memory cards. After all, you are trusting your images to the card! Lexar and SanDisk are the best. You will use the card over and over, so spending a bit more to get a better product, in the long term, will not cost you much more. 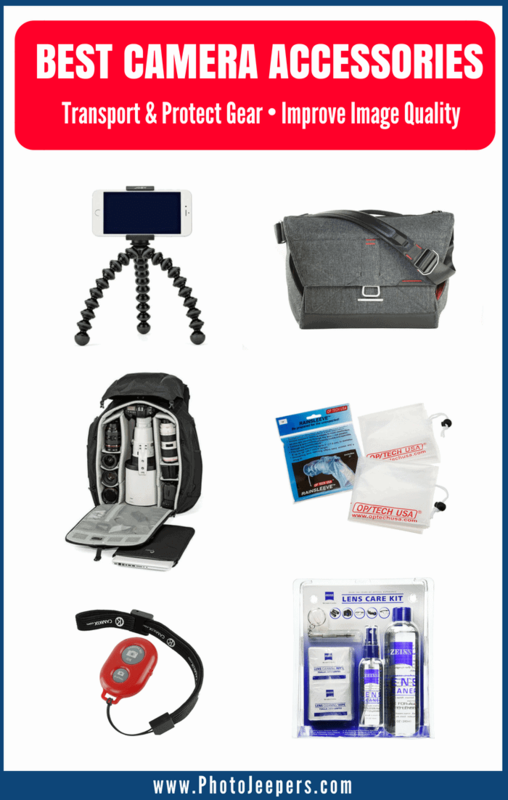 CARRY EXTRAS: You don’t want to miss any photographic opportunities due to forgetting to load a memory card or filling a memory card (or two). I encourage you to read the Do’s and Don’ts of Memory Cards by Peta Pixel. 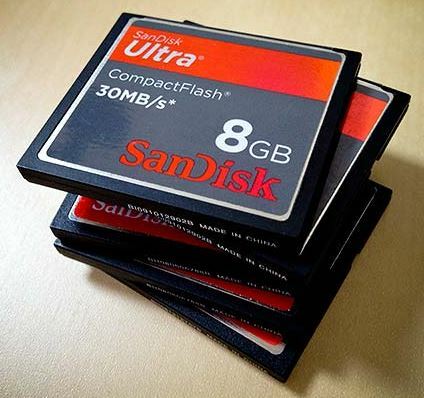 They share simple tips to keep your memory cards and images safe now and in the future. PACK THE CAMERA CHARGER AND EXTRA BATTERIES. 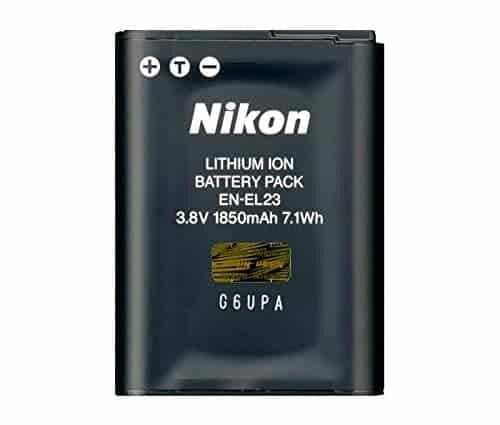 It’s not a good feeling when you forgot to put the battery in your camera or it’s been drained and you don’t have a back-up. We know this from experience, and want to save you the heartache! 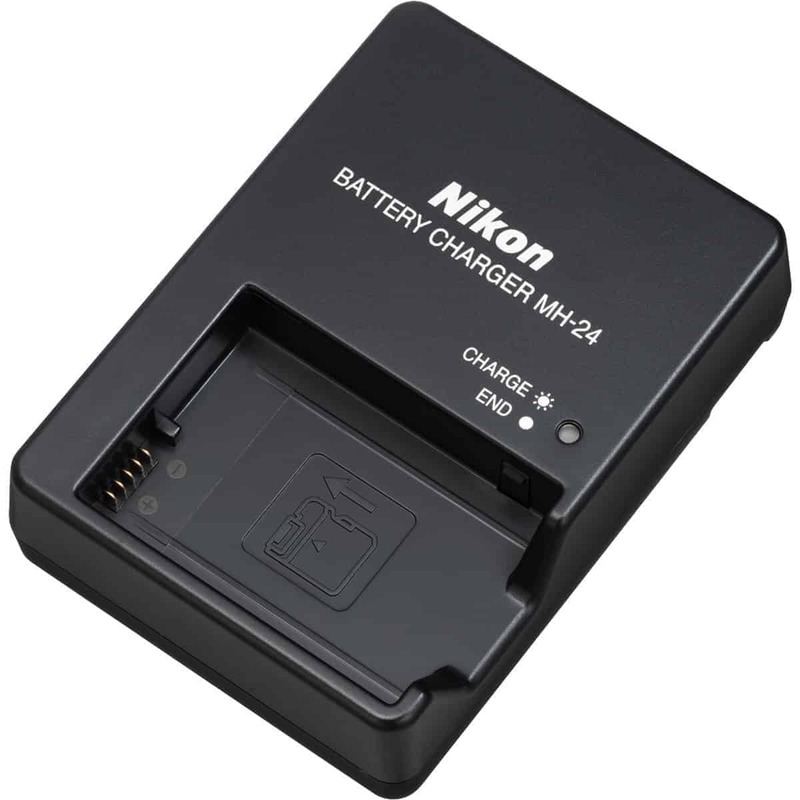 Be sure you get the right camera batteries and camera charger for your camera model. RELATED: Our Favorite Travel & Photography Products! As outdoor photographers, we needed something to shield our camera from the elements—rain, sand and snow. 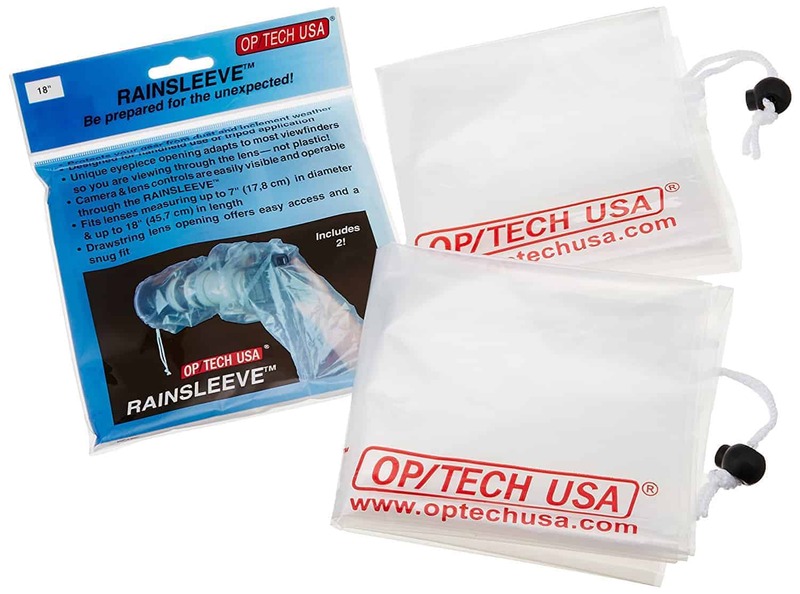 The rain sleeve features a unique eyepiece opening that adapts to most camera viewfinders, allowing composition of shots through the camera’s lens, not through the plastic. It can be used either hand-held or on a tripod. There is no better photo editing program than Adobe Lightroom. It’s also a photo management tool that keeps your images organized in a comprehensive and cohesive way. For more detailed edits and retouching, Adobe Photoshop is the industry standard. I highly recommend the Adobe Creative Cloud for Photographers – it’s well worth the $9.99 a month. The best way to learn photography and improve your skills – practice! Awesome list. Actually I haven’t heard of the Camera Clip. That’s one useful accessory. I’m gonna check it out. Been having a messenger bag all the while and now planning to invest in a backpack! We hike often and the backpack is so easy to carry, then when you use the clip, it’s even better! What a great list of literally everything you could possibly need for a travel photo trek! I especially loved the lay out of the Lowepro Pro Trekker 650, which seems like it can definitely hold a lot! I definitely need to invest in the Adobe Lightroom soon- maybe in the New Year, when I have a bit more time to play around with all the settings!! Thanks for sharing this round-up list! Lightroom is a wonderful too, but you do need time to learn how to use it! Good list. It’s taken my ages to find a decent camera backpack and also a camera handbag. It’s hard to find the ideal ones but I’ve got it now! One of my favorite camera accessories these days is actually a crystal ball – it can turn an average scene into an awesome scene! We want to try one of those crystal balls. They look so fun! You have a great list of camera accessories for Photographers. 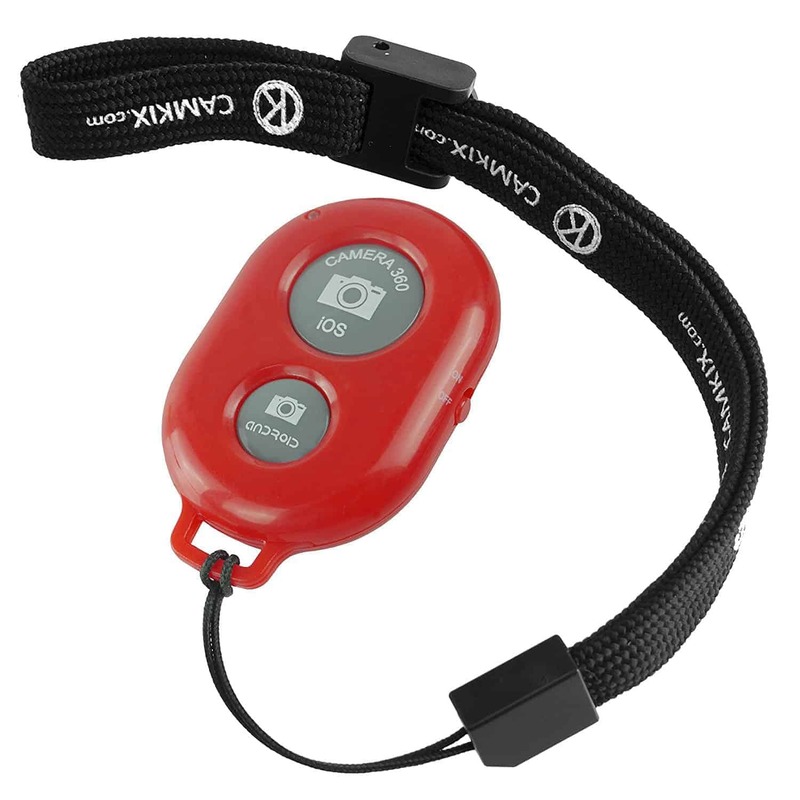 We had never thought of a Camera clip definitely helpful be keep the camera handy. We have to look for recommendations for tripod definitely gonna check this out. Thanks for this post! A camera clip is SOOO handy when you need to access your camera fast. Remote shutter release is awesome…. and Lightroom! Borneo Rainforest – wow! If only I had any skill with a camera- I tend to just stick with my iPhone and hope for the best! This list would be extraordinarily helpful for anyone just starting out in photography or hoping to up their game. With Cyber Monday here, I just might have to purchase a few of these items for the photographers in my life. There are some very useful products here for the photographer. 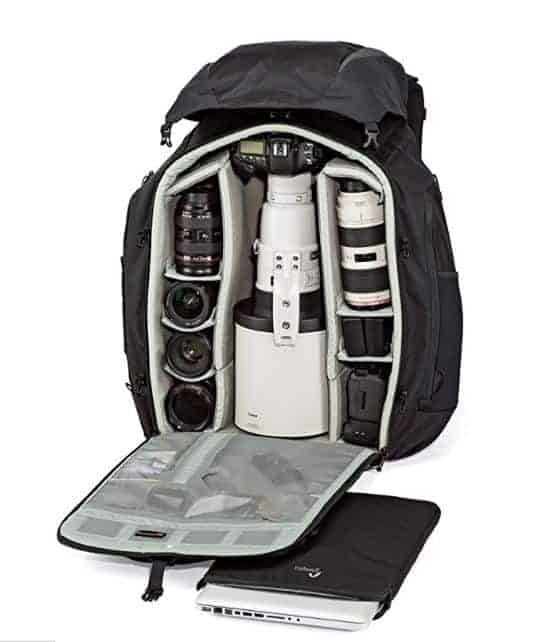 The huge camera bag is a requirement for those who carry the huge camera lenses everywhere with them! The tripod is very useful for sharpness, especially for those who don’t have steady hands or are going for long exposure shots. I really need a good camera bag, so thanks for suggesting these choices. I still need to get Lightroom, but it’s quite expensive, so will need to save a bit more for it! I always remember to take my battery charger! Darn, Adobe had a 20% off Black Friday sale last week.